We are currently in a series called ‘Conviction’- a series through the book of 2 Timothy. We join Paul, an apostle in prison. Being on death row, everything that he sees seems to be sharper and there is an immediacy to much of what he says which we can learn from. In the various texts we draw from below, Paul mentions people that came across his path and gives us valuable lessons on the way people affect us, and our relationships with certain people. If a prisoner in prison misbehaves, his punishment is often solitary confinement. This punishment is effective because prisoners go mad in isolation. We are not made to live alone. God is a triune God who exists in relationship. We are wired to need people- even a judicial system will tell you that. Isolation is a recognized torture and punishment. 1. Paul makes it clear that people affected him- people shape who we are. In 2 Tim 16:1 Paul makes special mention of Onesiphorus and how he ‘refreshed’ Paul- had an impact on his life. Some of us are shaped more by people than others, but everyone is affected. Whether we like or dislike them. Sometimes our reaction to people is a result of them affecting us. From these thoughts it’s important to analyse who we might be letting into our space and our heart. Who we are trusting and investing in, and the effects of these relationships on our lives. 2. Paul cultivates his friendships. Paul mentions that he ‘remember(s) [his] tears, [he] long(s) to see [him]’ when speaking about Timothy in 2 Tim 1:4. A statement so full of emotion that we cannot imagine it was easy for Paul to admit. Paul demonstrates here how we are to let people into our worlds emotionally. While we should be cautioned not to share our emotions with everyone, it is worth asking ourselves to whom we declare our friendships, and whether or not we show our gratitude to those who are our friends. Do we devote time to our friendships? Building meaningful relationships means recognising another’s joy and pain and celebrating and mourning with them. Paul sets an excellent example for this. 3. Paul is aware of all those who turned on him. He mentions by name Phygelus and Hermogenes who ‘turned away from [him]’ in Asia (2 Tim 1:15)- people who disappointed him. This calls to mind how we may handle disappointment. We can learn from Paul’s example, who sees very clearly those who disappointed him deliberately. It is helpful to note the difference between accidental and incidental disappointment versus deliberate disappointment. In some instances we need to walk through the Matt 18 ‘format’ of settling a dispute, but most of the time we have to learn to let it go by forgiving them through the Holy Spirit. 4. Paul was eager to repair broken relationships. ‘Get Mark and bring him with you’. Paul and Mark had a prior argument that was passionate enough for them to have separated ways. Here, in what history tells us are his last days, Paul takes initiative to repair this relationship. We can be encouraged from his example to take initiative if we have caused offence. It takes a lot of humility to do that. We can trust that the Holy Spirit can equip us with such humility to repair broken relationships. 5. We should rid ourselves of some friends. Even some Christian friends. Although this may sound harsh, Paul urges us to ‘avoid irreverent babble, for it will lead people into more and more ungodliness,’ (2 Tim 2:16). He further goes to say that ‘their teaching will spread like gangrene’ (2 Tim 2:17). Just like a rotting limb, this infection of ‘irreverent babble’ sets in and has the potential to cause dismemberment in the church. Because Paul mentions that they ‘destroy the faith of some’ (2 Tim 2:18), we can assume that these were believers who had alternate theology to ‘God’s solid foundation’ (2 Tim 2:19). From Paul’s experience, he directs us to avoid certain gossipers and ungodly men and women. But how are we to rid ourselves of those who discourage you. If the light in us is not transforming the darkness in them, perhaps we should not be so ready to hold them close to our hearts. While it is worth praying for them, we should ascertain the affect of friendships in our lives and ensure they don’t transform what is central to us. So how would we go about ridding such relationships? Neglect; Refusing them priority in our private worlds and swamping them with the good influence of godly friends if they insist on entering our space. 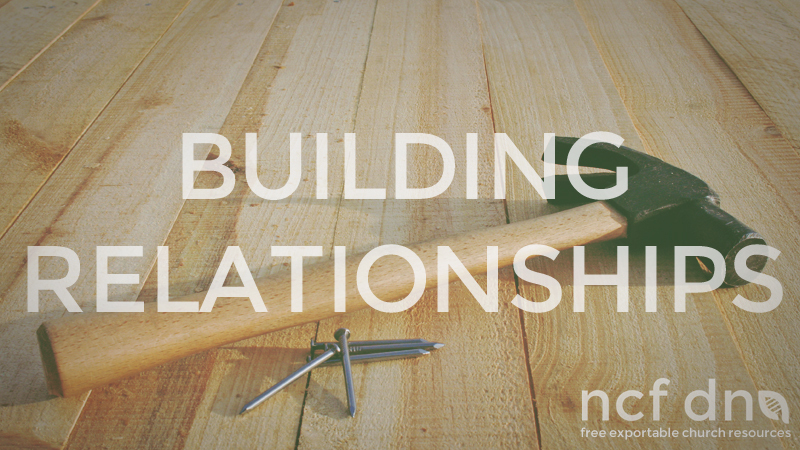 We do ministry in the context of relationships. It is important to note that friends will disappoint you. Some are worth repairing whilst others are toxic enough to let go.